September and October are usually the best months for weather in the Bay Area, so it's festival season! 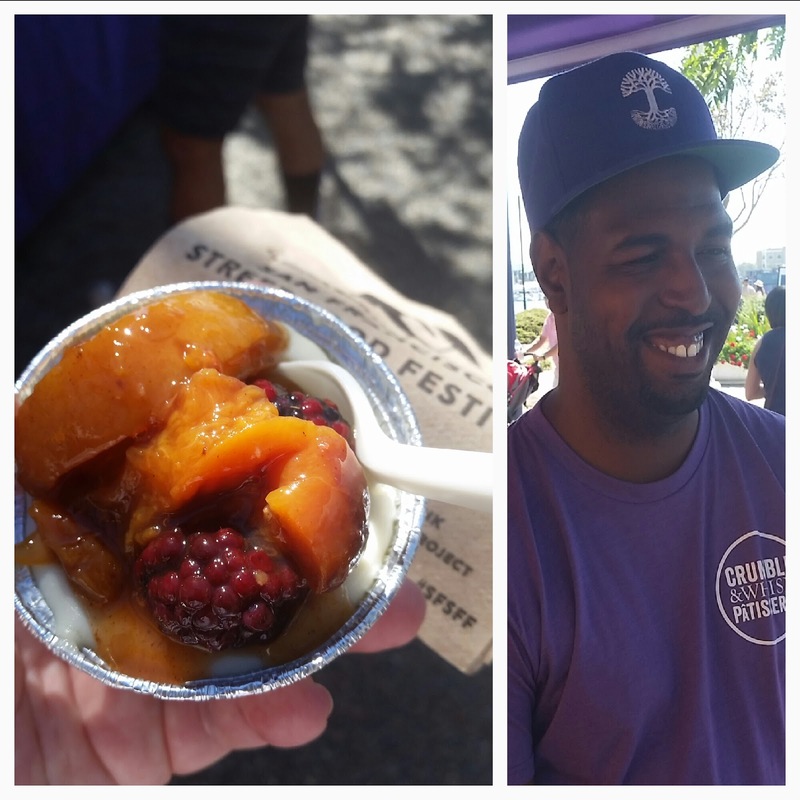 This weekend is the annual Eat Real Fest in Oakland's Jack London Square, a three-day event with dozens of local food vendors and instructional sessions about food and drink. 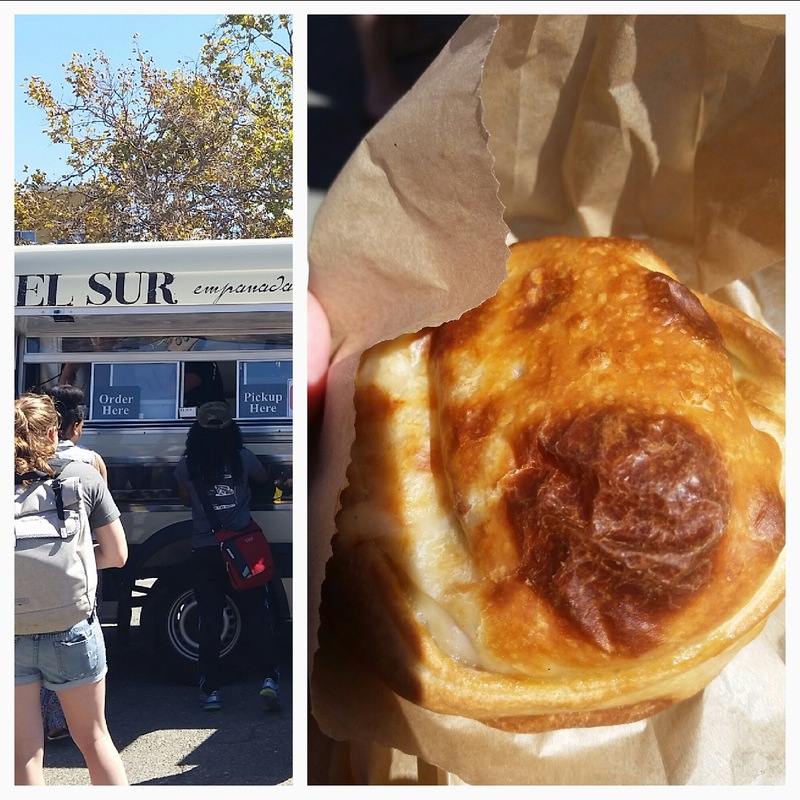 My friend Darcie took the ferry over from SF, and we spent the afternoon learning and eating. One of three areas of the festival, probably the least crowded one! 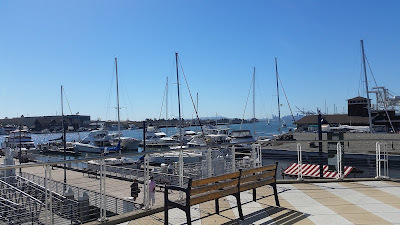 Jack London Square is on the Oakland Estuary, past the port. 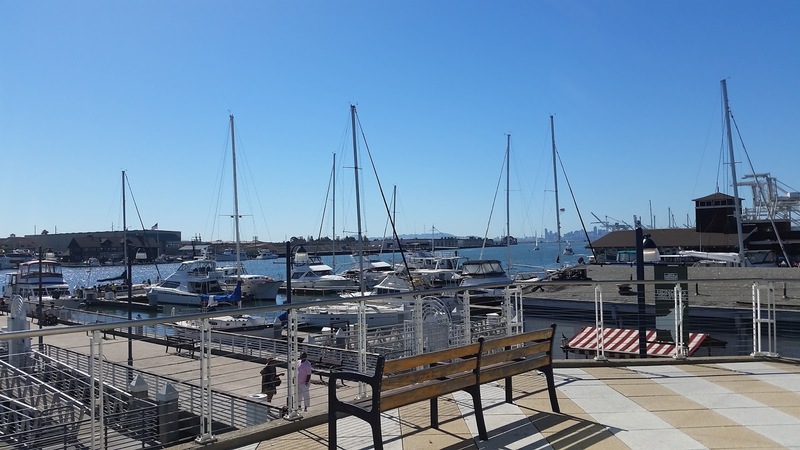 It's a beautiful spot, and I absolutely love Oakland events. 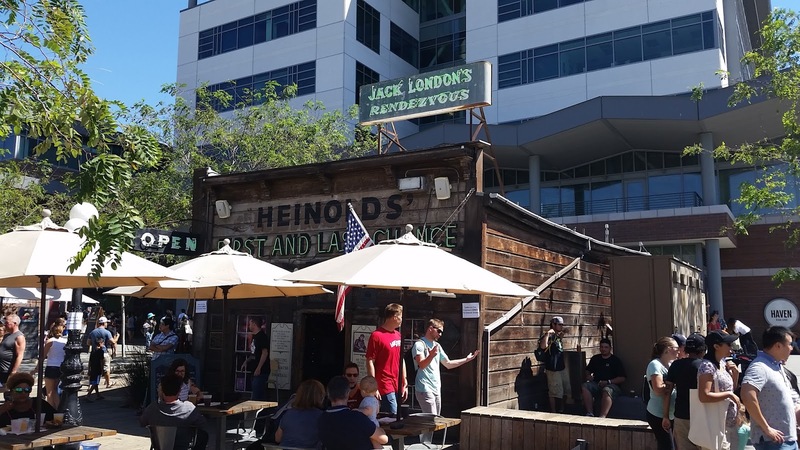 They're always filled with people from all different walks of life, sharing a special place and time. .
A fixture in Jack London Square is what my friend Kristin calls the Crooked Bar. Heinold's First and Last Chance (opened in 1883) is said to have been frequented by Jack London himself and is mentioned in one of his novels several times. The floor inside is terribly sloped due to earthquakes over the years, which adds to its charm. It has survived despite all the recent development in the area. Our first food stop was at El Sur Empanadas Artesanales for the Parisienne, filled with ham, green onion, chives and five cheeses. Deeelicious! I love the round shape of this flavor. Gotta work on mastering the different shapes myself! Next, we decided to go support the cheesecake guy, aka Crumble and Whisk Patisserie - I'm so glad we did. Although he's sporting an Oaklandish hat, the owner went through San Francisco's La Cocina incubator program to build his business, now located in the Mission. His peach and blackberry cheesecake was out of this world. With our bellies full, it was time for some learnin'. 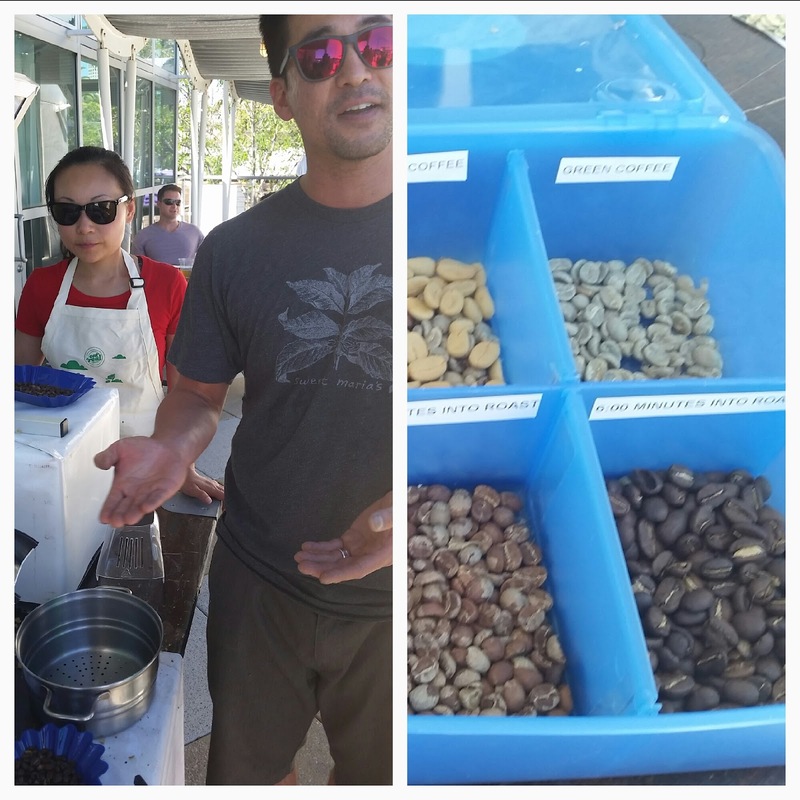 After a little time figuring out the map, we found the people from Sweet Maria's Home Roasting, where we got a lesson in roasting coffee beans at home. Lest you think it requires fancy equipment, he showed us how to roast a small amount of beans in a popcorn popper. Yup, a little old air popper. He also sent us home with free samples of green beans to try the technique ourselves...I'll be checking to see if my popper is the right kind later this weekend! Finally, we managed to find a shady spot for a lesson in drought-friendly farmer's market cooking from Marco of Cookin' the Market. He explained how dry farming works well in coastal climates, since the daily dose of fog provides moisture to the tomato plants and pear trees. Olives and olive oil are also drought-friendly products, since they require very little water to grow. 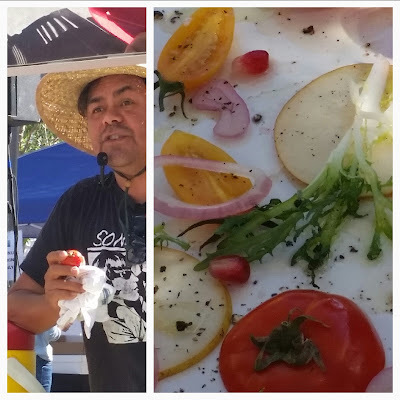 As he spoke, Marco put together a beautiful and delicious salad of dry-farmed tomatoes, Asian pears, frisee, shallots, and pomegranate seeds. He showed us a good way to remove the pomegranate seeds and suggested re-purposing the water we use to wash vegetables for gardening. 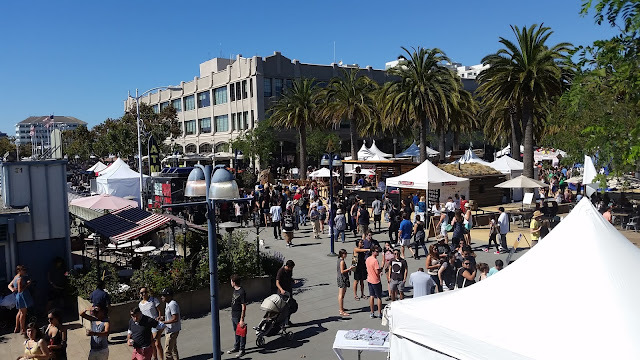 I was a little disappointed to find that the drink demos are now $10 per person and that the maximum price of food items sold had been raised from $5 to $8, but those aren't terrible prices for the Bay Area, and I still really enjoyed the day and learned a lot.